CC436A HP Color LaserJet CM2320nf Printer - Refurbished with 3 months Return To Base Warranty & Working Consumables. The HP Color LaserJet CM2320nf Printer is as good as buying new as all worn parts are replaced. This saves you up to 50% off the price of a brand new printer. We are confident that you will be 100% satisfied with your HP Color LaserJet CM2320nf Printer and are here to help with any support questions you may have. The Manufacturers part number/product code for this item is: CC436A. Meet your everyday document needs quickly and efficiently with this value-priced colour laser MFP. Print and copy high quality output at speeds up to 20 ppm, black and colour. Scan and fax easily with a device that’s simple to use and maintain. Get more done in less time with amazing results from print, copy, scan, and fax functionality. -Get more done in less time with integrated print, copy, scan and fax functionality, no wait Instant-on technology, built-in networking, fast print/copy speeds up to 20 ppm black and colour; and scan and send documents in e-mail without a PC. Create professional-quality communications effortlessly with this affordable HP Color LaserJet MFP. 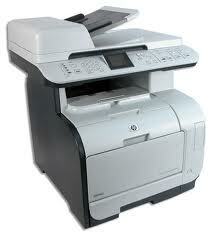 -Get exceptional, HP ImageREt 3600, professional quality results with this affordable LaserJet MFP. HP ColorSphere toner’s improved formula delivers vibrant colours, graphics and realistic photo-quality images for more effective communications. Incredibly easy to install, use, share and maintain with effortless print cartridge replacement. 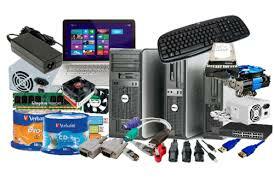 -Incredibly easy to install, use, share and maintain. An intuitive control panel with 2.4’’/6 cm colour graphics display makes advanced features simple to use. Ongoing use is effortless with four print cartridges that are clean and easy to replace.